Oftentimes it is a creditor's wage garnishment that is the final straw to break the back of a judgment debtor and prompting the filing for bankruptcy protection. As annoying as the collection attorneys may be when it comes to trying to get money from a debtor, for the most part, the larger collection firms do a good job at taking the appropriate steps upon notice of the bankruptcy. Immediately upon notice of the bankruptcy, a judgment creditor must take affirmative steps to cease colleciton activity. If a wage garnishment has been commenced pre-bankruptcy, the judgment creditor must inform the employer to cease further wage garnishment. Any money garnished after the date of the bankruptcy must be returned to the debtor and money garnished prior to the bankrutpcy will be delievered to the sherriff for turnover to the creditor. The Court Officer is instructed to no remit any money to the creditor that was deducted after the bankruptcy filing date. The creditor will inform the court officer to take no further action and to hold the execution in abeyance. Oftentimes, the money remited to the judgment creditor in the 90 days prior to the bankruptcy filing may be recovered as well. This "claw-back" is referred to a voidable preference and a topic I have written about in earlier blogs. If you need help we specialize in consumer debt defense. 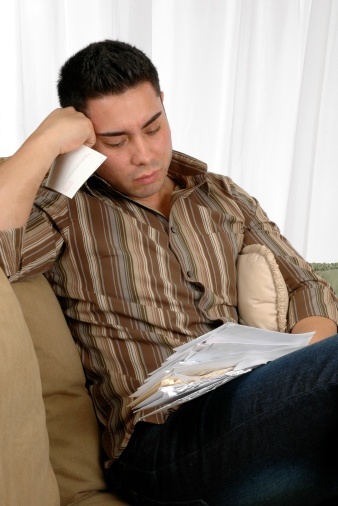 Contact one of our bankruptcy attorneys for a free New Jersey bankruptcy consultation today.